Simply put, Mid July through early August (15 July - 6 August) in Jamaica is about the best experience one can have -whether you are Jamaican or foreigner! One week of music madness in Montego Bay. The name says it all, but as they say during my visits to Trinidad Karnaval "Wi getting ahn Bad, Wi mashing up di place" (party wise that is). It is four days of endless music, food, fun & not to mention your drinks on Jul 29 - 1 Aug. You have to experience this for your self. The party starts right after ATI until Aug 6th. Check this out and you will have the experience of a lifetime, with more memories than you can recall. Stories for years to come. SMILES ALL OVER, EACH TIME YOU THINK OF YOUR SUMMER IN JAMAICA. 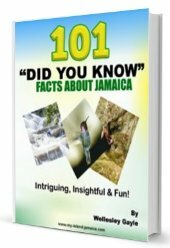 Share YOUR Own Jamaican Experience or Read Other Jamaican Stories.